Luna Lodge is tucked away in an enchantingly beautiful rain forest of Playa Carate, in the Osa Peninsula nearby the Corcovado National Park. 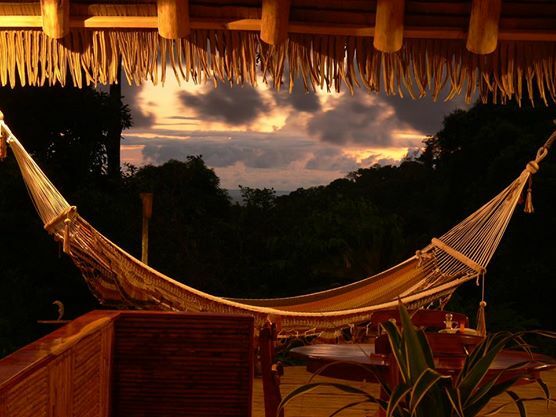 Offering their guests a true tropical experience, Luna Lodge is an Eco friendly establishment which is quickly growing popular in Costa Rica. Built with an aim to preserve and conserve rain forests, Luna Lodge is committed to educate people about the environment and culture. The entire resort is encircled by panoramic views of the ocean and green virgin jungles where numerous tropical creatures reside. If you want to witness the spectacular beauty of the nature and explore the wonderland in tranquility, Luna Lodge has an ideal set up for your vacation. Be it a couple’s retreat, a family vacation or a solo adventure, Luna Lodge is perfect for all sorts of vacation. With their excellent customer service, reasonable rates and lovely ambiance, Luna Lodge will meet and exceed your expectations. Luna Lodge features eight charming thatched roof bungalows, three hacienda style room and tents for accommodations. They are hidden among the verdurous scenery and boast striking views of the jungles and the ocean. Each bungalow is elegantly styled, comfortable, airy and expansive. They have large windows and palm roofs to allow the air to pass through. The rooms are appointed with two double beds that promise a deep slumber with sweet dreams. The rooms have a private bathroom with shower and bathtub as well. 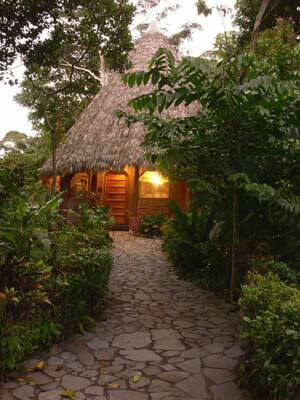 Moreover, there is a private porch where you can enjoy the cool breeze and glorious views of the jungles. For vacationers who are on a romantic getaway, Luna Lodge has an exquisite honeymoon suite for them with a king size bed. Recently, Luna Lodge has introduced charming hacienda-styled rooms. They are a pretty good alternative to the bungalows and are quite convenient and comfortable. The spacious rooms have private baths and are furnished with one double bed and one single bed. Another great option for accommodation is a ‘nature lover’s tent’. The tents are completely covered and have two single beds or one double bed, a bathroom with hot water supply, electricity and a terrace affording views to the rain forest. The retreat center is situated a short distance away from the bungalows hanging impressively over the hillside. The center is perfect for people who want to enjoy activities like yoga, Tai Chi, Nia, massage therapy, and aromatherapy. Furthermore, the serene and secluded environment makes it an ideal place for language study, creative writing, meditation, guided relaxation, vocalization, and business workshops. Check out the reviews of Luna Lodge on TripAdvisor. For further details on Luna Lodge , visit costaricaecolodges.net. 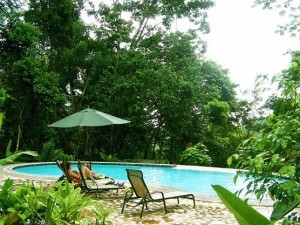 Visit costaricajourneys.com to know more about Luna Lodge .